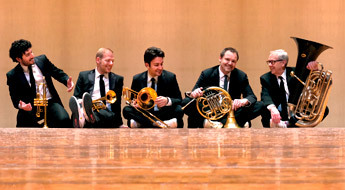 This world-renowned brass quintet has a uniquely engaging stage presence and rapport with audiences. Whatever the style, their music is performed with utmost dedication, skill and excellence. The hallmark of any Canadian Brass performance is entertainment, spontaneity, virtuosity and, most of all, fun.